Malakoff Road State School's first teacher Miss Bella Silver (left) with a friend most likely at Pialba, Queensland, about 1914; and at her wedding in September 1925 to John Alexis Dobbs Coker. WALTER Chamberlain was a determined man; so too were his neighbours and friends _ solid citizens like John Condon, Fred Campbell, John Tomkins, Stephen Wallace, John Hoefler and John Hunter. Farming life in the early 1900s on the Darling Downs was relatively kind to these men and their growing families but providing education for their children was a far more difficult proposition. It was a strain for the few who were prepared or able to afford to board children in the nearby towns of Dalby or Bell. It seems strange now but 90-odd years ago travelling even a couple of miles daily was an arduous task for adults, let alone children. Dirt roads, roving stock, the inherent dangers of the Australia bush; all these things concerned fathers and mothers alike. From the public record of correspondence, it seems that Walter Chamberlain, whose property, Singer Dalla, was on Malakoff Road, north of Dalby, was the driving force behind a "building committee" lobbying the Queensland Education Department for a state school. (a) Number of children necessary to warrant the erection of a school. (b) Nearest distance of proposed school to any existing school to warrant erection. (c) Lowest age of children permitted to attend school." So began the process by which the tiny one-teacher Malakoff Road State School came into being. This image of the Malakoff Road State School taken around 1927 was provided by Mrs Helen Wilson nee Campbell. She identifies the following people from left, John Hoefler (with bike), Heather Maynard (with slate ... possibly), Audrey, Daphne and Gladys Wormwell, riders Isabel and Helen Campbell, unknown, unknown, Ed and Alice Clifford and unknown. (Unknowns could be any of following: A. Reid, Gordon and George Maynard or R. Twidale). Based on the 1927 image, artist Chris Souilijaert created this line drawing of children at Malakoff Road State School near Dalby, Queensland. There's nothing that special about Malakoff Road but it represents so many other small schools that flourished for a time but disappeared when modern transport and economies took over. But Malakoff Road is special to Dobbs, Silver, Bauer and Nunn families, because Margaret Isabella Silver, was its first teacher. It was special to her, too, because on December 2, 1913, Malakoff Road was where Miss Silver began her teaching career. Life was never easy for Miss Silver boarding with families and having to move on to another district for the next several years. 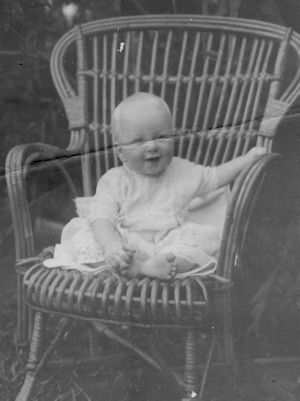 Born in Millmerran, about 160km (100 miles) from Malakoff Road, she was to teach at several other schools before being posted much further north to Central Queensland in 1923. Chamberlain's first letter, there is sufficient evidence to suggest that the transition from idea to reality was not a smooth one. Even settling upon its name wasn't easy because two options -- Plain View and Hillside -- were unavailable. It came down to a choice between Cattle Creek and Malakoff Road. Initially, the area did not have the required 20 school-age students until a new family with three children arrived. Families represented when the school first opened included Campbell, Condon, Chamberlain, Tomkins, Wallace, Hoefler and Hunter. It must have been a special day and exciting time for everyone that December when Miss Silver opened the school and held the first class. She recorded only a couple of entries in her diary of her time at Malakoff Road School. December 1, 1913: Travelled to Dalby & out to Malakoff Rd. She was at Malakoff Road at least three years. In the records that remain which are held at the State Archives, Runcorn, Brisbane, several letters in her handwriting give some insight to school life. The first of her letters, dated January 29, 1914, gives details of a meeting for the purpose of electing the school committee. The committee members were: Stephen Fountain Wallace (Chairman), John Condon (Secretary), John Joseph Hoefler (Treasurer), John George Tomkins, John Hunter, John Young Black, and Fredrick William Campbell. In a letter to the education department, Miss Silver wrote asking for "enough iron to put on the west side and half way up the north and south sides of the school". "The committee are willing to erect the same free of cost, if it is provided." The iron duly arrived and, on May 25, 1915, she again wrote to advise that the committee had completed the task. Earlier, in January, Miss Silver requested gardening tools which were sent to the Dalby Railway Station. The consignment included 1 rake, 1 hoe, 1 fork, and 1 coil of 'K' wire netting. In 2005, the Dalby Soccer Club was using the old Malakoff Road State School building. Note the large beer company sign. "Your attention is directed to page 12 of the 'School Garden' which deals with the care of tools." One can only wonder at how weatherproof the building was because after a storm in November, 1915, Miss Silver wrote a letter advising that rain blew in damaging maps and pictures on the walls. She also wrote that: "It also beat in so much that the children had to stand in the centre of the room to avoid getting wet." It must have been a wild thunderstorm common at that time of year. The following year a problem developed with horses getting into the area underneath the school, so a request was made for 25 yards of netting. The school was closed in the 1970s but those who did attend naturally have varied memories of Malakoff Road. There was no highway where the Dalby-Bell road now runs past the old school site. In fact, it was on the black soil that school sports days were held. One constant "observer" of all that happened at Malakoff Road was the enormous white gum that stands to this day. The Malakoff Road school building was still in use in 2005; by the Dalby Soccer Club as its "refreshment" area. Adorned with a large Fourex (Queensland's iconic brewing company) sign and badly in need of a coat of paint, the building that once housed eager young scholars was being put to a completely different use. That situation could not have been further from the minds of those who were there in 1913 for the launch of the building for its original use. Image taken in 2005 of the site where the Malakoff Road State School once stood. At the time the word 'school' was just legible on the sign. Boolburra State School most likely in the 1920s. In 1874 when the railway bridge and line were under construction over the Dawson River at Boolburra, the Education Department received representation to give children the opportunity to be educated. Building the bridge was a time-consuming task and the workers and their families accounted for a good-sized community. A letter dated June 12, 1874 from a William Robertson, noted that £55 had been raised by subscription from 41 people and that a committee of five had been appointed to act as trustees. They were: Messrs William S Robertson, Robert Tait, William Reid, James Mulvany and James Duffy. In a letter of July 26, 1874, Robertson advised that £67 had been placed in the savings bank at Gainsford to the credit of the Board of Education in trust for the establishment of the primary school at Dawson Bridge (Boolburra). Robertson wrote: The committee will guarantee that thirty pupils will be in regular attendance. I have the honour to inform you that I opened the provisional school at Dawson Bridge on Monday, 31st August, 1874. The first days attendance numbered 27. Having received several applications from parents of children unable to attend the day classes to open an evening class I did so on Tuesday evening 1st Sept. Will you kindly inform me whether the children attending this class are to be included with the day scholars and if the Board will allow books, etc, for their use. Those at present attending the evening class are fair readers; but are backward in the other branches; and I have only one fourth and one fifth book in the school. Approval had been given for a provisional school to operate and so Boolburra became the 202nd public institution for learning to be opened in Queensland. …there is a certain bark humpy, also a cook house of a similar construction unoccupied at the Dawson which the Rail Department is willing to place at the disposal of the Board of Education, and that I have inspected these buildings and can see no objection to them being occupied. Sinclair Sutherland wrote on September 31, 1874 that there were now 49 kids attending day school. By November, the committee was suggesting that the school would need to be larger than planned because of the number of pupils and that the cost would be £600. They also proposed a house for the teacher. I have to reply that the sum collected is £80 pounds and that this amount is all we expect to be able to raise. This would with the government grant amount to £240. We can erect a school here to suit the requirements of the place, weatherboarded and shingled for about £120. This would leave a similar sum for the dwelling house. The school house can be erected of similar material. The steam saw mills 7 miles from here delivers timber at 23/6 per 100 feet and a chapel large enough to suit for a school for 70 scholars but having no flooring or verandas has just been erected and completed for £83. Studs and weatherboards of hardwood and the roof of Hobart town palings. The difference in cost would be the addition of the 2 verandahs, windows and flooring which could be all done at the cost of £120 pounds. This township is at present large and a great many inhabitants in the neighbourhood which rises from the railway works now in full operation. When the railway extension is open beyond the Dawson River, in about 18 months, a very small population will only be here, not sufficient I am of opinion to maintain a school for the reason that the country in both sides of the Dawson River is unsuitable for any sort of (indistinguishable word) being all scrub and most part bad soil and bad grass, the community at present is entirely made up from the number employed in the railway works. I have therefore from these explanations to leave the matter in your hands hoping you will do the best for our interest. A school and house of the sort referred to could be put up in a few weeks by carpenters on the ground here and if you can give us plans for buildings to suit for the number of scholars at the figure named. They could be erected without delay. A provisional school is now in operation at Dawson Bridge and if the facts are as (Mr P) the writer states, such a school would suffice for the requirements of the place. It would be folly to erect permanent and costly buildings for the use of a population which is certain to melt away in 18 months. It would not be desirable to incur any considerable expenditure in the erection of buildings. Boolburra apparently is an Aboriginal word meaning big water which, looking back, is entirely accurate knowing how the area floods. School house completely under water everything lost escaped with life only. W.D.S.Sutherland. In a letter dated March 15, 1875, Sutherland wrote about the flood and requested school requisites. from the disastrous effect of the late flood at the Dawson, the majority of the inhabitants (subscribers to the school) have left the place and are now settling at Herberts Creek 5 miles below the Dawson (at Edungalba) and at the 7 mile township, (Duaringa) 7 miles beyond the Dawson where will be permanent stations for the Great Northern Railway whereas no station will be at Boolburra.."
In July, 1875, Pennyquick sent telegrams seeking plans for the school for the contractor. By March, 1876 there seems to have been a move to build a school at the 7 mile (Duaringa). With reference to the erection of a school at the 7 mile with the funds subscribed at Dawson Bridge, I wish to add that it is quite evident a temporary place is all that is requisite at 7 mile. The railway is being extended at so rapid a rate that it will be beyond that place in a few months - the platelayers are beyond there already. For the time being the largest number of children will be located there (7 miles) and it might be more desirable on that you arrange for the transfer of the teacher from this place to there - as after this week the people will be well nigh cleared out of this place. the subscribers are anxious to know if their money will be returned by the board. The teacher, Mr Sutherland, had also gone. The old building is sufficiently good for the temporary purpose - we had it repaired and cleaned since the flood. Ballard was right in one sense but it took more than 12 months. In March, 1877, Duffy again wrote seeking a provisional school be established saying that fees from the temporary/unofficial one by Miss Mary Ann Simpson weren't sufficient to support her. On 13/8/1877 the provisional school was approved and Miss Simpson appointed teacher. A Mr/Miss D.Celvant (name indecipherable in original) was the second teacher followed in March, 1879, by Mrs Mary Matson, recently widowed and with four children, appointed on a salary of £60. By December she had resigned and Annie Kehlet was appointed in her place. From 1883 until 1914 when ill health forced him to retire, Patrick Murtagh was charged with the education of a couple of generations of young country children. The money raised for a school by those railway workers who first lived at Boolburra had to be refunded. Those who remained had to go through the process again. They succeeded and a letter of October 26, 1892 gives details of the contractor, Francis Holmes, who built Boolburra School for £98 2 shillings and 7p. (Holmes also built other public structures such as Emu Park railway station). Information on this is in various letters from the then school secretary, John Nally. Miss Maude A Gallagher replaced Mr Murtagh to be followed in 1915 by Clara Torrens and Daisy White, and in 1917 by Elsie Jelbart and Amelia Ridgway. In 1920, Belindea (an unusual spelling) May Walsh took over to be replaced in 1922 by Eileen Delaney. In 1917 there was a significant incident at the school when an irate Mrs Cagney, of Avondale Farm, marched into the classroom, confronted the teacher, Miss Elsie Jelbart, and demanded she apologise for calling her son, Norman, a liar. Norman Cagney denied misbehaving and I was satisfied until his sister informed me that he was misbehaving. He then admitted his fault and then made use of the expression complained of and I punished him also for telling the untruth. Nor is it the first time he has been punished for this same fault. His mother told him to tell me to apologise to him and I refused. Mrs Cagney then came to me, at the school and in the presence of the children demanded an apology to her son and she abused me. Her manner was threatening also. Under the circumstance I could not apologise. In a way I feel sorry for the remark, but he really deserved it. Norman informed his schoolmates that his mother was going to make me apologise. The children have been told to disobey me in school and have been impertinent beyond endurance. To be candid, that family - the first people with whom I boarded - since I left their place, have done their utmost to make everything unpleasant for me, which is the outcome of bitterness. Accommodation with them was not suitable and I informed Mr Denniss, Inspector, of it and he advised me to leave. It was a most unsavoury situation which had a quiet ending when Miss Jelbart resigned soon after to be married. The file was marked with the comment that “no further action is deemed necessary”. Young Norman had obviously abused Miss Jelbart and copped a whacking. Ray Dobbs related the following story about Norman which may be the incident which led to the showdown between Mrs Cagney and Miss Jelbart. Where Miss Delaney stayed is not clear because when Miss Margaret Isabella Silver arrived to replace her, she boarded with Charles and Elizabeth Dobbs. It could be assumed that Miss Delaney had been boarding with the Dobbs’ and that she was recommending her successor board with Miss Duffy. She wrote that she had previously boarded “two miles from the school”. This was possibly with the Cagney family at Avondale farm. If the accommodation were unsatisfactory, Miss Silver did not complain in the two years she stayed there. In fact, she ended up falling in love with the young man of the house, Alex Dobbs. She was paid a salary of £180 and in that time had to deal with low attendance, floods and epidemics. The worst was in August 1925 when mumps, influenza and measles swept the district in what was a cold, wet end to winter. I have to honor to inform you that that the enrolment is now eleven, so I trust that the average attendance for the future will be over 9. The low enrolment for January and February was due to two pupils having left school and one being away on a holiday. The latter has returned and one new pupil has been admitted. The school was in its death throes when Ivy McLeod replaced Miss Silver for the remainder of 1925. Gladys Kidd took her place in 1926 and was appalled by the living conditions at Miss Duffy’s. My accommodation here is very far from satisfactory - it being very rough. Should the school close, I would like a similar one on the Central Railway Line within easy reach of my home centre Emerald as my aged father and mother there reside. Miss G.F.Kidd advises me that she has wrote you that she cannot stay here as a teacher and that she had wrote to that effect. I don't know if Miss Kidd told you that the place she was staying at was unsatisfactory. I admit it is not the best place in the world but it is the only house here that would take a teacher in so we had no choice in the matter. I do no wish to leave here. I have a wife and nine children so it would be a big expense for me to shift. I am only a working man so you will see what a shift to me would mean and if I have to shift it would mean that school would never open again as 5 of the pupils are mine. I feel it my duty to write again, relative to the accommodation which I am forced to contend with here, and, as this is the only available place, I anxiously await your instructions. The accommodation is very dirty and I am unable to sleep at night on account of bugs. The food (cooking and eating utensils) are also far from clean, and one cannot fancy any food here such filth and dirt exist. How the late teacher (Miss McLeod) stayed here for 3 months I do not know. The place is also over-run by dogs and cats, which are fed at the same time and place as I am supposed to do. I trust you will treat this matter confidentially and urgently, as it is very hard for me to put up with these conditions and the secretary here agrees with me. The matter was discussed with Mr A Goodwin, the parent most deeply interest in the continuance of the school. He informed me that there was absolutely no other place except Miss Duffy's. Accompanied by him, I visited Miss Duffy's place and was shown the room allotted to the teacher. It is large enough, but it did not seem clean, from what I could gather, I believe it to be infested with vermin. Miss Duffy is a woman of very low intelligence; in my opinion, she is mentally sub-normal and I was informed on what I conceive to be very good authority, that she is the mother of two or more illegitimate children. Finding: Miss Duffy's place does not provide suitable accommodation for Miss Kidd or for any other teacher. Though on the day of my visit the total number of pupils was present, the average attendance does not warrant the continuance of the school. Recommendation: That the school be closed, and that the present head teacher, Miss Kidd, who is a worthy servant of the dep't, be transferred to some school on the Central Railway. If no head teacher has yet been appointed to Blackwater it is recommended that she be appointed head teacher of that school. Within weeks, the school was closed and by August 1928 the building was removed from the site, purchased by James J Duffy for £20. It was the end not only for the school but also, symbolically, to a community that 50 years previously saw a substantial future for the area. The town plan was laid out but the area was flood-prone and it was destined never to be the riverside village that someone envisioned it could become.